Based on our CALIBER I and with the same respect for traditional watchmaking and its aesthetic quality, we constructed the CALIBER III for our MORITZ. 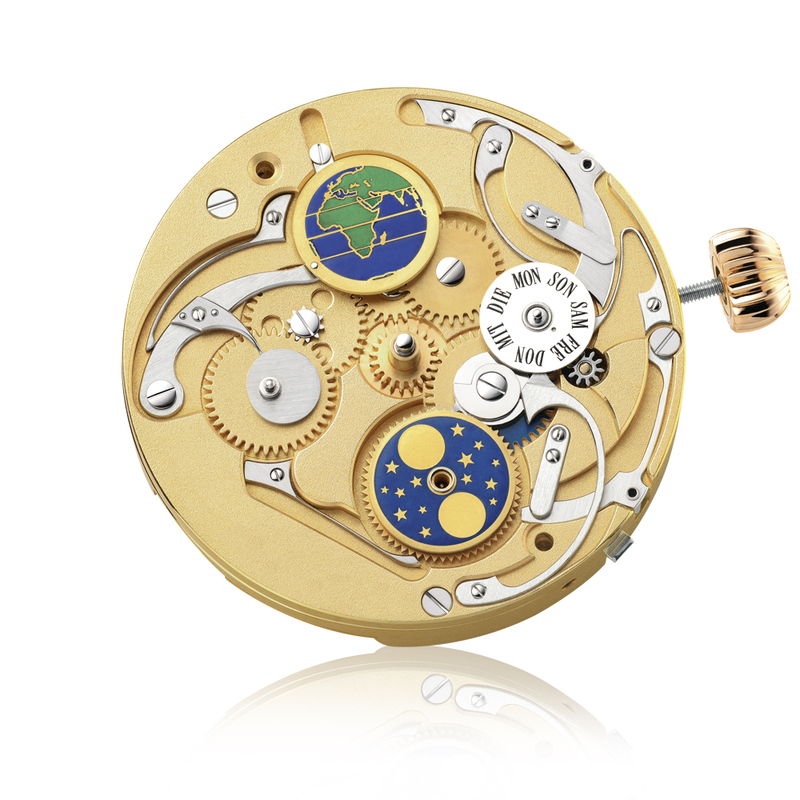 Although the two movements look very similar, we have still made some modification. The distance from the minute wheel to the second wheel is downsized to gain room for additional indications on subdials. 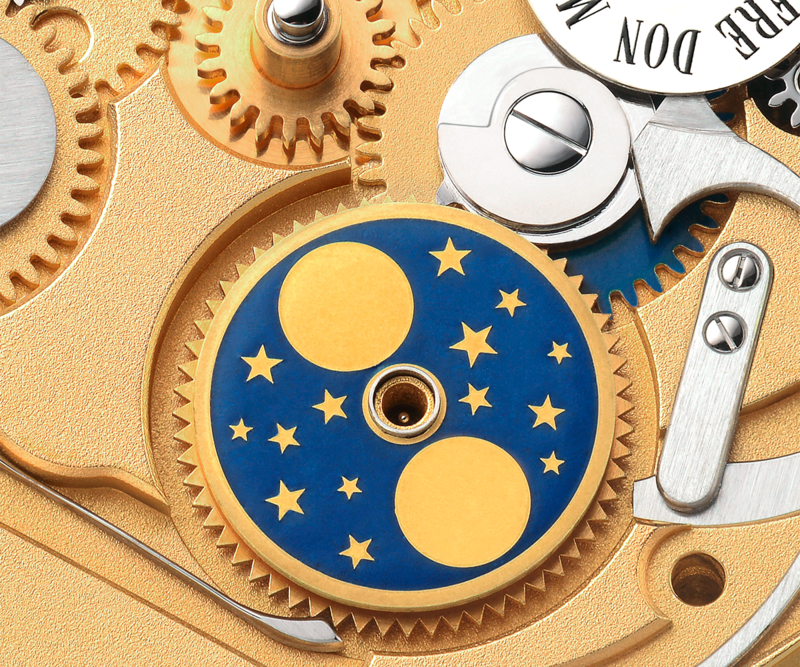 We also reconstructed the winding mechanism so that the date, the month and the declination indication can be set as fast as possible with the help of a third crown position. 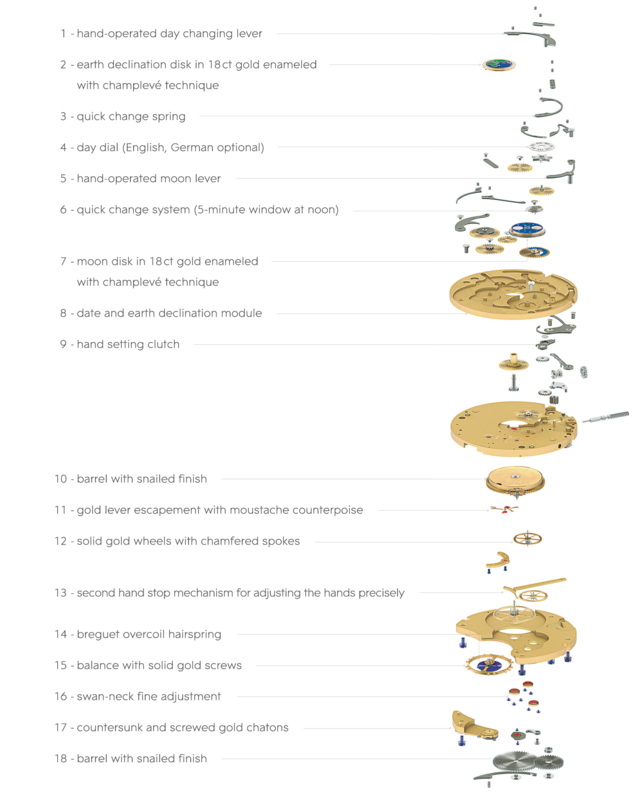 The complete mechanism for the calendar indication is carried by an additional plate which is only 1.5 mm high. One specialty which is not immediately visible is the rapid change of the date and day of the week that is activated at midnight exactly. The MOON DISK as well as the EARTH DISK is cut in gold and enameled with the technique “champlevé”. Above the crown, the date, the month and the declination can be changed quickly. Two sunk-in correctors serve as the regulation of the moon phase and the day of the week. We make three variations of the earth disk, one for the European / African, one for the Asian / Australian and one for the American viewpoint. The indication of sunrise and sunset and the equation are well known. The changing angle of the sun’s rays to the surface of the earth forms the basis of these indications. The inclination of the axis of the earth to the ecliptic of 23 degrees and the orbiting of the earth around the sun are the causes of the sun’s rays impinging sometimes more on the northern hemisphere, sometimes more on the southern hemisphere. 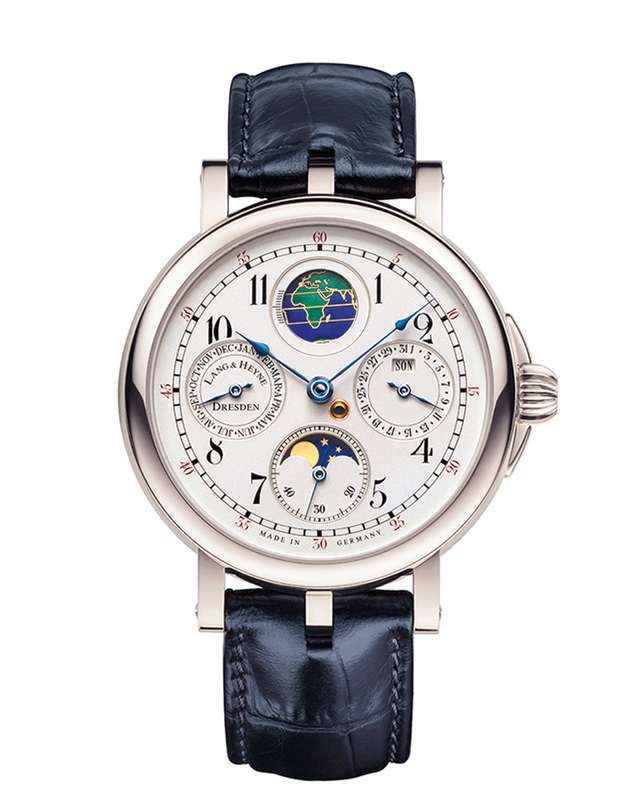 As the only manufacture LANG & HEYNE has made it possible to directly indicate the degree of the sun to the equator. 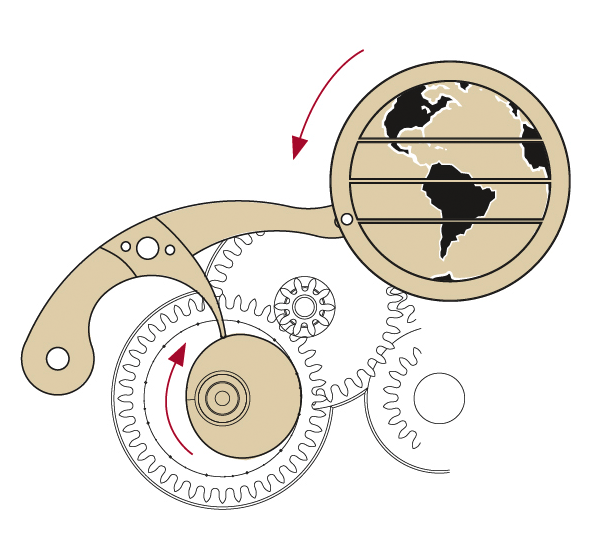 The earth disk which oscillates during the seasons is controlled by a program disk where the value of the degree of the declination is accurately stored. With a classical, symmetrical division of the dial, in our MORITZ watch model, we combine the calendar functions of a full calendar.